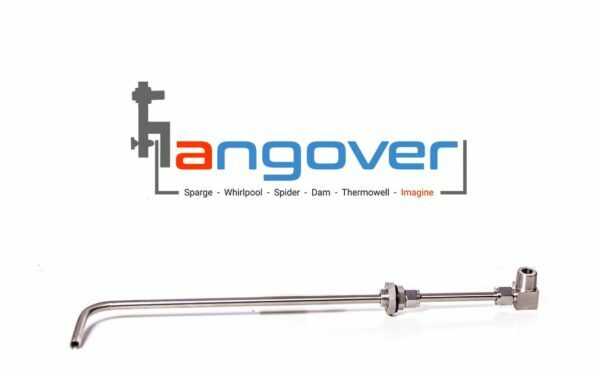 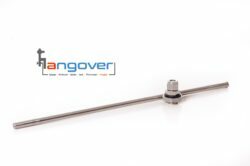 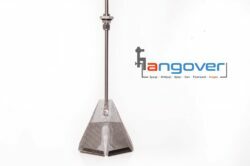 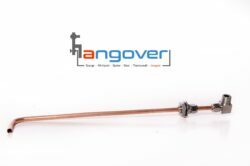 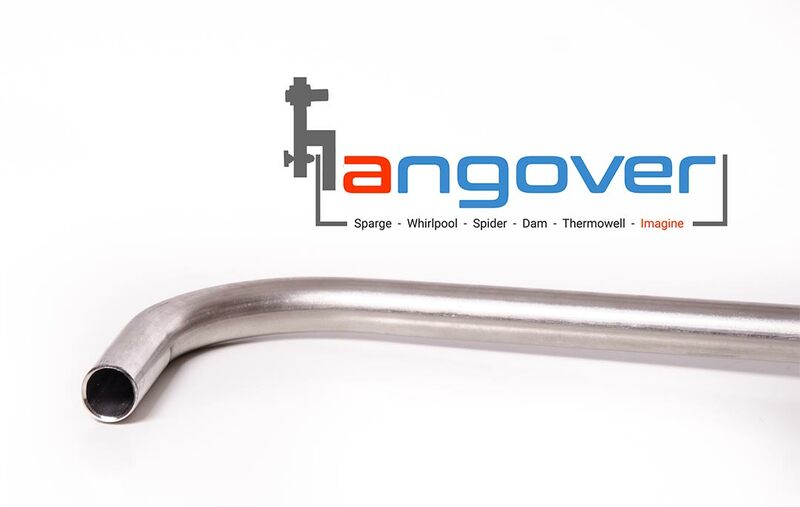 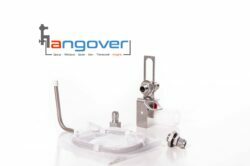 Perfect for smaller 5 to 15 gallon brew days, our 3/8″ 304 stainless steel fully adjustable whirlpool arm enhances your brew day in seconds by simply attaching it to the Hangover™ system. 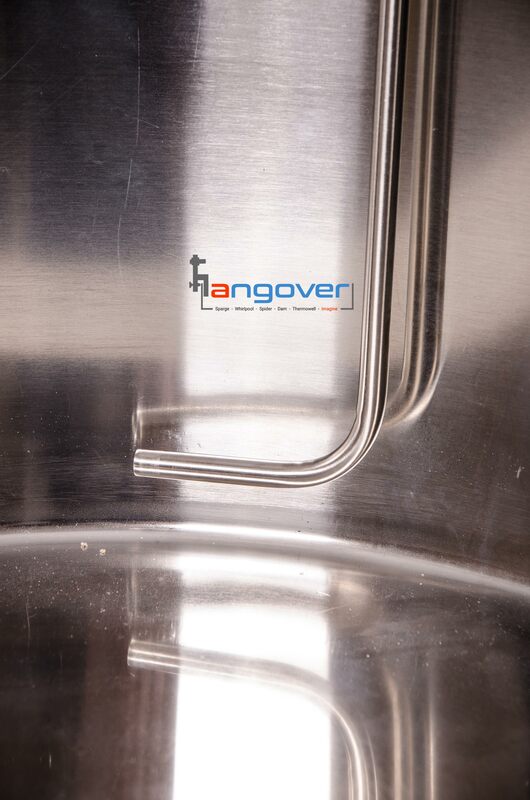 Whirlpools are fantastic additions to the brewing process. 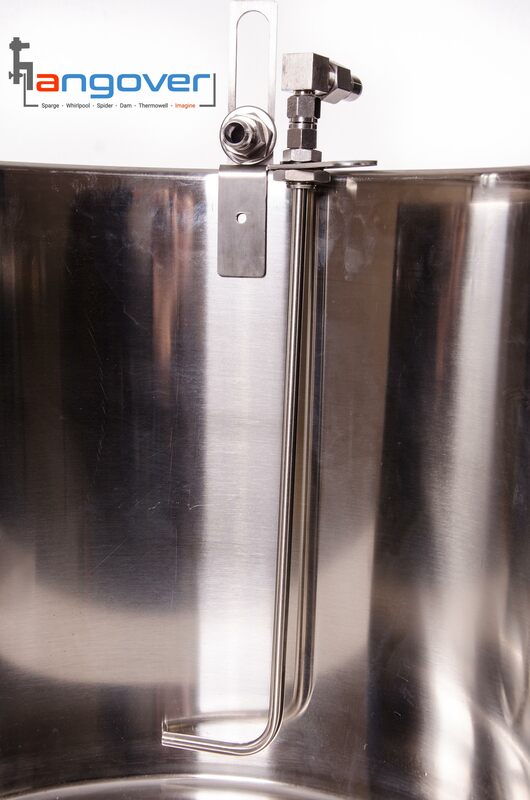 They help to utilize hops more efficiently, chill down your wort in the kettle when doing temperature dependent post boil additions, and create a neat trub cone in the center of your kettle to reduce any junk getting into your fermenters.